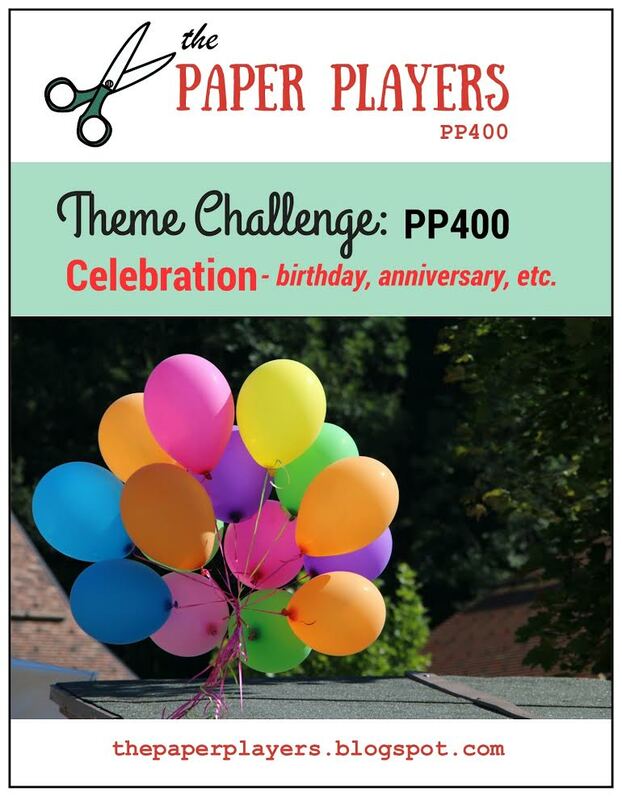 Paper Players are SO excited to be sharing our 400th challenge with you and, because it is such a major occasion, and because we have some incredible prizes to be won, this is a two week challenge. Our theme for the two weeks is CELEBRATION and we are celebrating YOU – our Paper Players. Without YOU we would not have reached such a major milestone. We thank all of you for playing along with us. We also thank our past designers and guest designers who have helped us bring you inspiration for 50 weeks every year. The crafting community really is an amazing community and we have been lucky enough to have some wonderful sponsors offer up incredible prizes to our players. In fact, we have 40 – yes, that is FORTY – prizes up for grabs. Now, that’s a way to celebrate 🙂 Prize winners will be randomly selected through random.org and announced on our page on July 18. We really hope that you will play along with us over the next two weeks and help us celebrate. We also hope that you will visit our amazing sponsors. Fabulous…right? Remember, prize winners will be randomly chosen from all of the challenge submission cards uploaded to the challenge. Please be considerate of our requests; entries that do not follow any of these rules will be deleted without notification and will not be eligible for our prizes. My card for the celebration! I decided to make a simple shaker card for our birthday… wishing everyone luck in the random draw! Anne Marie Hile, Guest Designer! Remember you have until Friday, June 13th to enter your submissions. Thank you for playing along with the Paper Players 400th Challenge! I can’t wait to see your creations… and again HAVE FUN. This entry was posted in The Paper Players and tagged Concord&9th, SavvyStamps, SimonSaysStamp. I love a good shaker card Eliz and this most definitely is one! The bold stripes and bright diecut sentiment really show the sequin shaker off to great detail. Adorable gift box! Looks so jazzy on the purple paper. I really like everything about this fun shaker card, especially the pretty purple paper! All those colorful little hearts just add to the fun, and I admire anyone who can make such a pretty shaker card! Beautifully created! Eliz, I love shaker cards but tend to steer away from making them because those darn sequins always escape! Yours looks just perfect, and I love the colorful mix of heart sequins. Happy 400th and a Happy 4th to you! Oh this is so bright and happy, Elizabeth! Love that big present die and the shaker idea is just perfect for our celebration. Delighted to work with you on The Paper Players–you’ve been a great addition to the team. Big hugs, my friend! Your card is shakin’ with celebration! Great idea to use that great present! Happy 400th! Purple stripes and hearts – what a combo! Love the package shaker idea too. Happy 400! I LOVE your shaker…the dies you used are awesome, Happy 400th! Fabulous and festive card…love your sweet package!